Scotland’s local councils are investing billions in the companies most responsible for the climate crisis. Learn about our campaign to divest local government and find out what’s happening in your local area. Local councillors have the power to clean up local government pensions! Click here to send them a message now. Pension funds are some of the world’s largest investors. With the Government now requiring many more workers to join a pension fund through auto-enrolment, their influence over the wider economy will only grow. 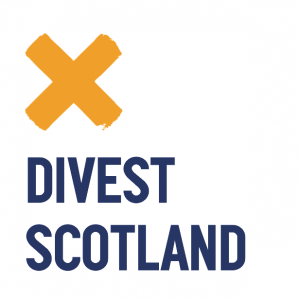 Our analysis shows that Scottish council pensions invest £1.81 billion in fossil fuels in the world’s 200 biggest oil, gas and coal companies. Scotland’s communities need investment, and clearly pension fund members and local communities interests are well served by investments such as social housing and renewable energy which can bring major benefits to local areas. There are some encouraging examples of Scottish councils developing expertise and putting investment behind socially and environmentally beneficial projects. Although a major risk to the future of our economy, the time scale over which climate change will affect our lives is, in the main, beyond the short-term focus of professional investors. Investors seeking to secure their funds need a climate change plan which ensures those managing money on their behalf don’t carry on with a business-as-usual approach. What do fund members think? We asked council pension fund members how they think their pensions should be invested. Councils invest their pension funds on behalf of 505,000 members across Scotland. We asked some of them how they think their pensions should be invested. What should local councils and national government do to clean up our pensions? 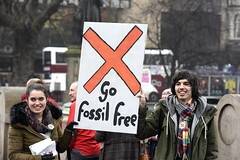 We recommend that councils which run pension funds should divest from fossil fuels by adding a commitment to exit these companies over five years to their Statement of Investment Principles, assess the wider risks posed to all companies they invest in from climate change, produce a strategy for low-carbon investment, and require their fund managers to do likewise.